Three of my sons have been in speech therapy for articulation. Much of their "homework" is based on repeating a sound over and over through different words or sentences. 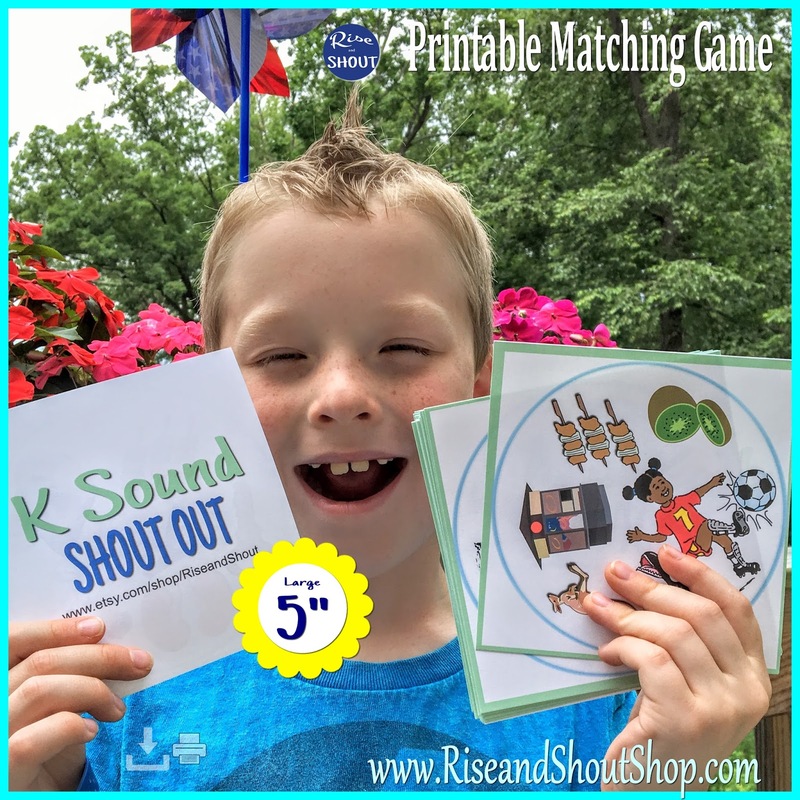 In consultation with their therapist, I created different Shout Out games that focused on the sounds that they are learning and working on. My middle son has been working on his R sound, so ... there's an R sound. 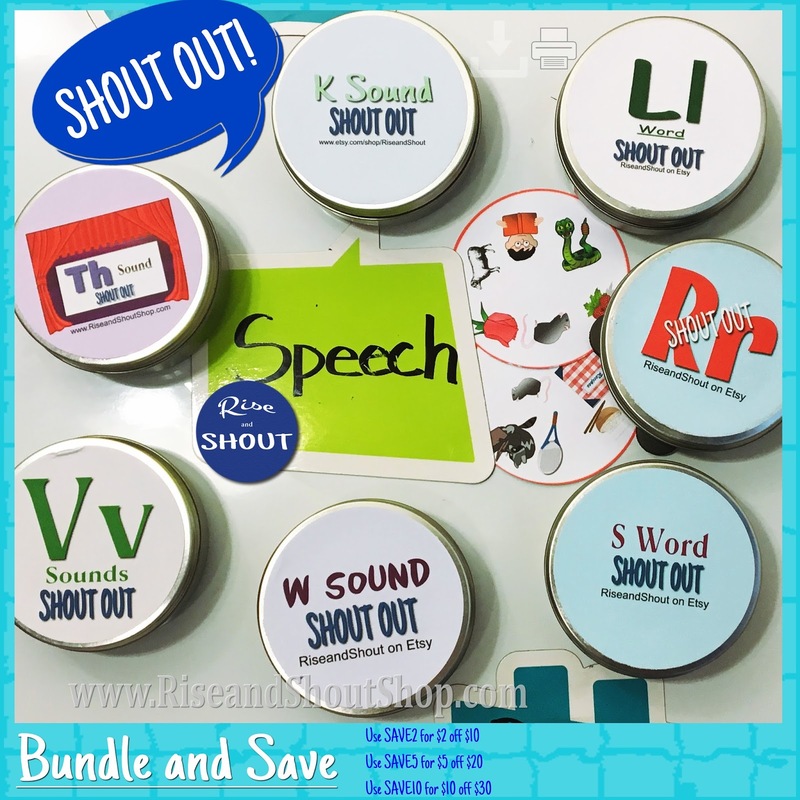 The school speech pathologist works in a small group. Two of the students think very quickly and are quick to understand and play the game on their own. She takes the other two students, who have additional special needs, to the side and helps them. She shows them one card, points and has them say the name of each object. She then shows them the second card and they say each object. She then lays down the two cards together and asks, "What two pictures are the same?" Even though her emphasis is articulation, she is also helping them develop cognitive skills and prepping them to play the game on their own later. 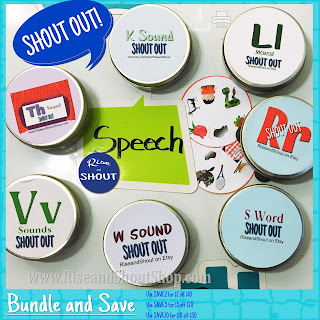 If you are working on other speech goals, some of the Holiday, School or other Shout Out games may be helpful. Shout out games come in 3", 5" or a bundle with 3" & 5". They are an instant download printable which can be cut in circles or squares. Feedback I've gotten, is that SLPs like the 3" size if they travel between schools or clients. (I like to put mine in a metal tin and keep in the bottom of my purse to prevent boredom when we're waiting at sports practices.) When working with preschool clients or clients with other special needs, the larger 5" size makes viewing and handling the cards a little easier. 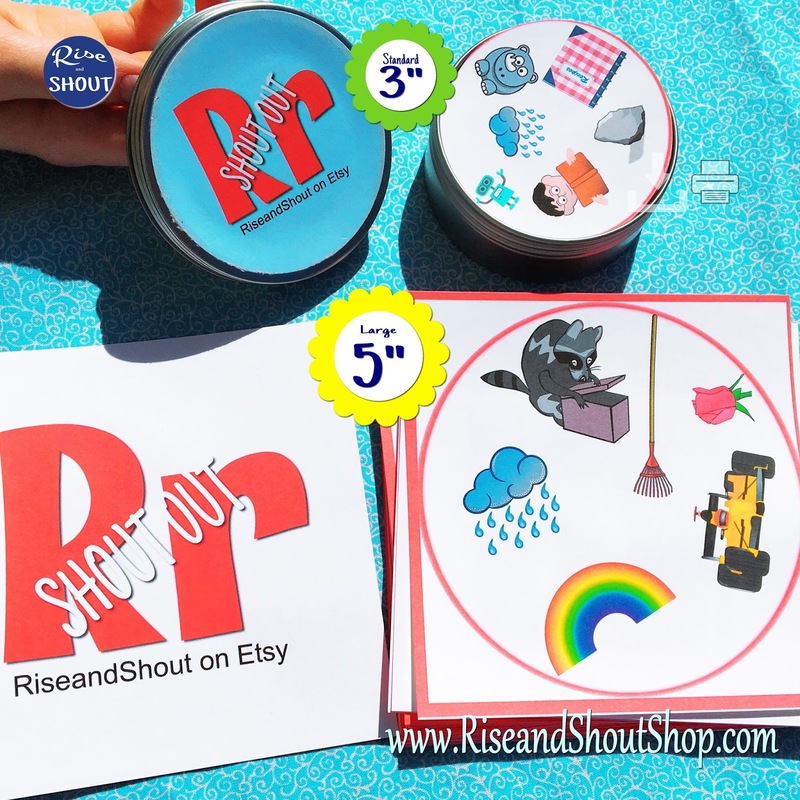 The 5" cards can be placed in a zipped pencil binder bag for easy transportation. The Dollar Store also currently has plastic sandwich boxes which hold the games perfectly. Sign up for my newsletter to receive an instant discount download code.